This Sunday afternoon at Taipei Artist Village, art workers from different nationalities and youth representatives of Taipei will be sharing their observations on the uniqueness and inclusivity of the city with the Mayor of Taipei. 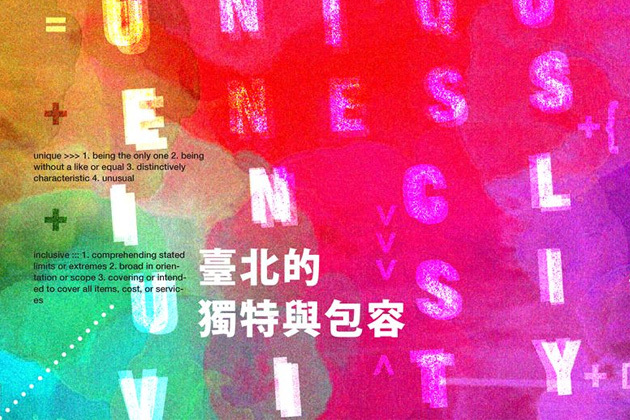 “The uniqueness of Taipei lies in her inclusivity,” once stated a Parisian traveler artist. On a typical Taipei street lined with restaurants of all cuisines from local to exotic, anyone gets to immerse in the unique charm of the inclusive atmosphere of Taipei. The city seems to be embedded with a mysterious gift of attractiveness, friendliness, and diversification. For nearly a decade, cross-disciplinary, cross-field, and cross-generation have become major key words surrounding the topic of youth and innovation. Youths have been encouraged to “cross” out of the box, to blend in different elements, and to spark new ideas and reforms. Yet, at the same time, worries and concerns over one single cross-gender issue boil down to one fundamental question: Is the society well-prepared to face these “crossings?” At the 2018 Youth Forum, art workers from different nationalities and youth representatives of Taipei will be sharing their observations on the uniqueness and inclusivity of the city with the Mayor of Taipei, for the reference of future city development policies. Last year, Taipei Universiade lit up a grand stage for youths, who eventually won the city worldwide recognition, along with a total of 90 medals. As grand events, games, exhibitions and forums serve as valuable opportunities for a city and its youth to brand themselves, the first part of the Forum will be a discussion of the uniqueness of Taipei explored during its most recent grand international event. Wandering through cities around the world, seeking beauty in cultural collisions, and disclosing new perspectives and conversations, art workers break boundaries, explore the extremes, and challenge a city’s inclusivity. Do these art workers think the city Taipei is ready to embrace their unconventional, anti-logical forms of expressions and creations? At part two of the Forum, foreign art workers at Treasure Hill will be invited to share their creating experience in Taipei. ♦ Reflexive Taiwan Series: Taiwan: A Nation 'Half Empty' or 'Half Full'?